You are on a recreational journey with an RV and suddenly you felt that you want to make use of a satellite dish. Or maybe you have an internet connection, but somehow, it doesn’t seem to be working. The other possible situation could be the lacking of proper on-the-go service or a faulty router. This guide will help you to choose comparably good services, instruments, and their installment. You will also be guided on how to choose best brands available in the market. Finding the right combination of equipment to suit your needs may seem daunting, but we’re here to help. General services available at home do not offer an antenna that can be used on the road. Instead, you need to purchase a portable dedicated unit from one of their partner companies, like Winegard or KVH, etc. You need a proprietary dish for the mobile internet and essentially paired with RVDataStatSystem. A Mount is a device that rotates the dish and locks onto the satellite. A wireless router allows the user to use the internet freely without wires connected to the devices on either side. Satellite internet systems have two options: an automatic system and a manual system. This is an automatic dish operating system. You merely press a button and the dish, mounted on the roof, unfolds. Motors rotate it until it locks onto the satellite. Locking onto the satellite takes a few minutes after, they will be ready to connect to the internet via satellite. And when you are ready to go, just press the button and the dish will be folded automatically. You do not need to handle all the equipment manually. MotoSAT is one of the famous manufacturers in the U.S. They have many dealers nationwide along with spare parts’ expedient availability. The Ground Control and AVL are the best companies in terms of higher performance and the durability. However, they are comparatively popular with federal and public service sectors. C-Com iNetVu, Canada based manufacturer, is another best option to choose. They are providing services worldwide. This system needs to be operated manually. You are required to set it up and take down each time you stay or move respectively. You will need to aim the dish at the satellite and manually lock onto the satellite. If you failed to aim properly you might lose the connection or face interruptions while using the service. Two types of manual system are more popular among the RVrs. The tripod dish system costs $1500 – 2000. They accompany a tripod and you need to set up a dish on it, aligning to lock onto the satellite. Tripod dish system is portable and you can easily place it where the southern sky has a clear view. However, it takes time and efforts every time to assemble and disassemble the unit. Also, the whole system takes a significant space in the vehicle, when in no use. The roof-mounted costs $1300-1500. They have advantages over the tripod dish system. They have less setup as compared to the tripod and it requires no extra space in your vehicle to store it. The fundamental principle of choosing an internet service is to ask yourself exactly what you need. Then point out the crucial requirements and narrow down the demand list. If you want to watch live movies and videos on your RV, then it would be better to choose DirecTV or Dish Network rather than the internet facility. Also, you need to estimate your workload. Decide whether you want a private VPN, high-speed internet, large data download and upload facility or just you need connectivity with rest of the world? This all will help you to choose a better device, appropriate instruments, and the suitable plan. Choosing antenna size is the second crucial factor that decides your internet service performance. Once you have decided bandwidth and the speed you required then it will be more convenient to choose the dish size. Two other factors also affect your selection. One is the space available on the roof of your RV and the other is the area you decided to visit. Remote areas require a large size dish to lock onto the satellite. Now you need to narrow down the list of requirements of hardware. Durability, reliability, and stability in strong winds are the major factors which also decide the type of the system’s hardware. The area you’re going to with your RV is the key deciding factor when it comes to choosing a service provider. Some famous mobile internet service providers are Spacenet, Starband, HughesNet and Mobile Satellite Technologies. HughesNet does not provide services directly, instead, they refer to an authorized subsidiary HughesNet VAR. Also, there are various service providers that offer the best rate with better coverage plans. Existing Dish customers can upgrade their services to pay-as-you-go service. They just need to buy a mobile satellite and receiver system. The service providers will charge a nominal fee of $7.00 per month in addition to your monthly subscription charges. However, you need to pay in advance. In this contract, you are charged as per your usage and plan as you go. Non-existing customers can also avail pay-as-you-go service. They are required to pay monthly subscription included in a full programming package. If you are an occasional traveler, you can pause the service for a period up to full six months. This will also pause your two years agreement and extend it till you have reached a full two years of service. 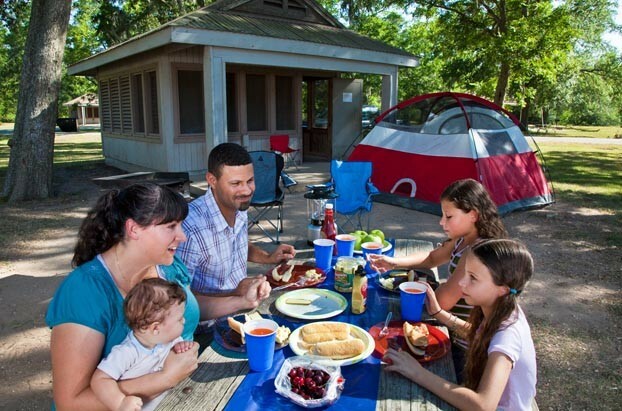 Since you have the service active anyway, you are required to pay bills for both services at home as well as the mobile service at RV tours. All of the best options is to choose RVDataSAT 840 antenna. It holds an optional LNB for DirecTV and entertainment package. The system unit can be bought for $ 6,894 with a monthly subscription fee of $454. This is the best way to get both internet connection as well as TV from a single Dish antenna. The second option that you can avail is, to simply upgrade your home Dish service to the mobile package. However, in this case, you need to buy and install an additional Dish for internet and a separate payment plan. For the separate internet system, Exede Dish is ideal and reliable. The third choice is, Winegard Carryout G2+. This unit allows the user to switch between DirecTV and Dish. You can convert the service from TV to the mobile internet simply by pressing a button. Try out the Dish pay-as-you-go plan and switch to DirecTV. Before you set out on a journey with your recreational vehicle, you need to update your knowledge about some basic concepts. Signal latency is the technical delay of data transfer. When you lock your dish onto satellite and start surfing you may notice a little delay in information transfer. Actually, your dish sends a signal to the satellite and the satellite forwards it to the ground station. After the procession, ground station sends the signal back to the satellite and satellite to your dish. This whole process takes half a second. That’s why you may face a bit of delay in data transfer particularly while using certain apps. When there is a storm, unclear southern sky or a severe weather, signals get distorted. This is called rain fade. Larger dishes are less affected by the rain fade factor. When you are on tours, it is not possible to live without internet. It provides you the facility of online billing to get online recipes for the recreational cooking. And obviously, RV satellite internet has no substitute either.